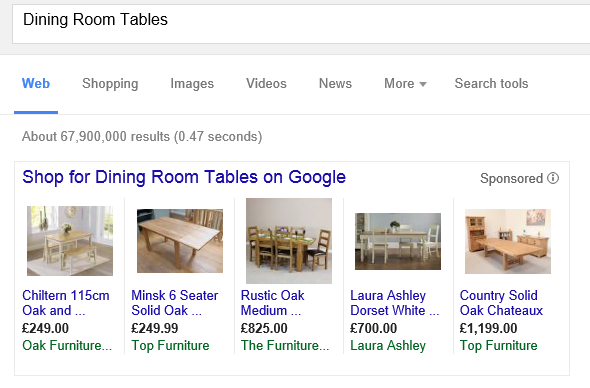 Google Shopping: What, Why and How? One major part of the Google search results page is Shopping. Working alongside Google paid ad listings, these are also run on a pay-per-click basis are simple product listings, which show the name, price and store along with an image and link directly to the product page. What are Google Shopping listings? These adverts aren’t created individually, but are generated from a product feed. 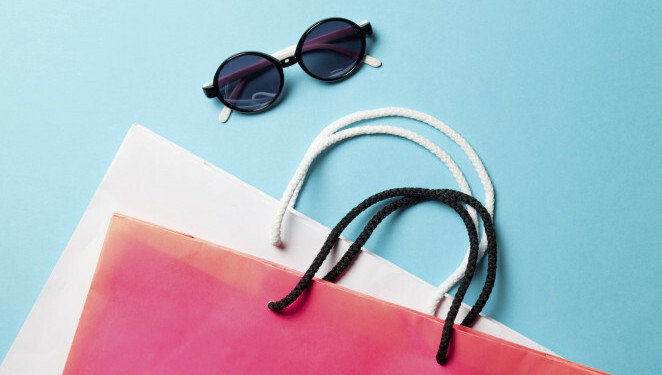 The product feed contains the relevant information from your website about the products and presents it in a database for Google to turn into Shopping listings. These are paid adverts, so do cost money per click, and can be fairly expensive, but show up high up in search results and are very good for catching people who are almost definitely looking for your product. The downside being that they often click, buy and leave, rather than actually learning about your business, so you can often get a sale, but from the customer’s perspective, your business isn’t important. They are good to use as well as regular Adwords, so you can pick up as many visits from users who are likely to purchase. How do I use Google Shopping to promote my products? First you will need a product feed. This can be a simple task, but it can be a difficult task. A lot of Content Management Systems (CMS) have either plugins to create product feeds from your product listings or they automatically do this for you, out of the box. You really need the feed created automatically like this, as otherwise you will need to manually write it, and update it each time you add a new product. Once you have your feed, you need to create an account with Google Merchant Centre. Once all set up, go to ‘Feeds’ and click the red ‘+ Data Feed’ button to get started. You may need to go into ‘Setting > Shipping’ to input any details on shipping costs, for example, if a product costs more than X, charge a certain amount for shipping. You then need to link your Merchant Centre account with your Google Adwords account, by going into Merchant Centre > Settings > Adwords. Now you are ready to create your Google Shopping Ads. In Adwords, you can create a new campaign, and for campaign type, select Shopping Campaign. You can then choose your product feed as well as your default cost per click bids, and you’re ready to go!